Hello All - I thought this would be a good place to get feedback about using piano hinges for the elevator on a long fuselage Air Camper. I have made some formed hinges, these wide base ones I think I will use for the rudder. See attached drawing. Since you guys are much more experienced than I, can I get some feedback about the piano hinges? I am thinking they will reduce the gap and seal it at the same time. Only a bit of work needed on the trailing edge of the horizontal stab to allow full deflection of the elevators (I think, but have not actually done it yet!). Your learned input always welcome and enjoyed! 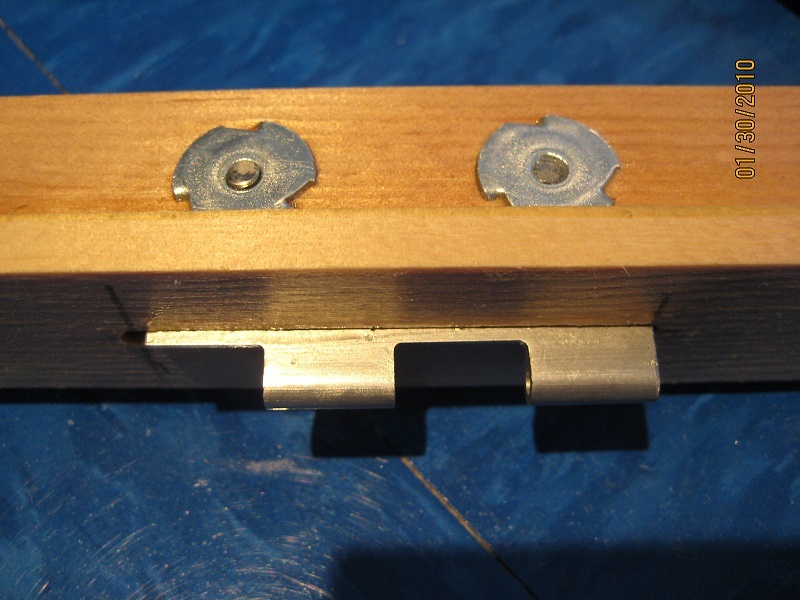 I used the formed MS hinge, (not the standard rolled knuckle) cut to about 21/2" length. I milled a slot in the wood, (1/8") and filled the gap within the slot with thin plywood and epoxy. The assembly was drilled in place and fitted with screws and "T" nuts. These were also epoxied to prevent backing out. I did this for the elevator and rudder. My aircraft has not been flight tested and this hinge method has not been proven. Michael, when are you ever going to fly that thing? It’s been finished for over a year now, hasn’t it? I am also building another aircraft...a kit this time! Yes, I too would really like to see that airplane fly. [quote="pietflyer"]Do you have any pictures? Hello Jack - thank you for your input. I need to do up a model of the piano hinge to better explain, and to convince myself it will work! I accept that sealing the elevator gap doesn't do much, but every little bit helps! I don't have an approved (UK) hinge, so thought the piano hinge would be the least difficult to get accepted here. Will still have to use my titanium ones for the rudder. 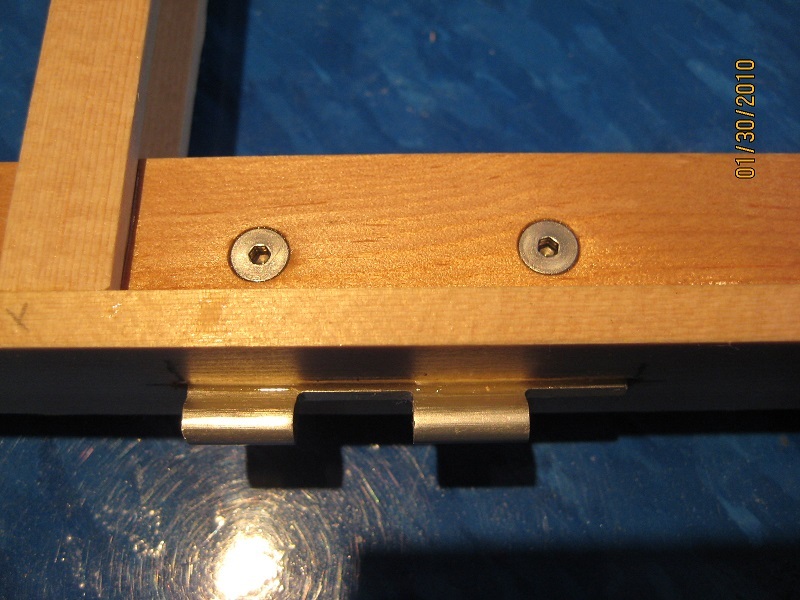 I would use bolts and nutplates to attach the piano hinge. With the hinge pivot point at the top of the joint, elevator down deflection will be the issue to solve. Hello Again Jack! - here is a sketch of the piano hinge attachment I am thinking of - there would be a wedge shaped ply piece on the trailing edge of the horizontal stab and the leading edge of the elevator. A 1/8" thick wedge will give over 20 degrees deflection of the elevator - what we are required to have here in the UK. Trailing edge of horizontal stab, 3mm ply wedge, 1 3/4" piano hinge, ply wedge, leading edge of elevator. Bolted together with nutplates. Braywood: if you think Speedbrake's shop is ultra-sanitary, you should see Jake Schultz's shop! Truly white-glove spotless! 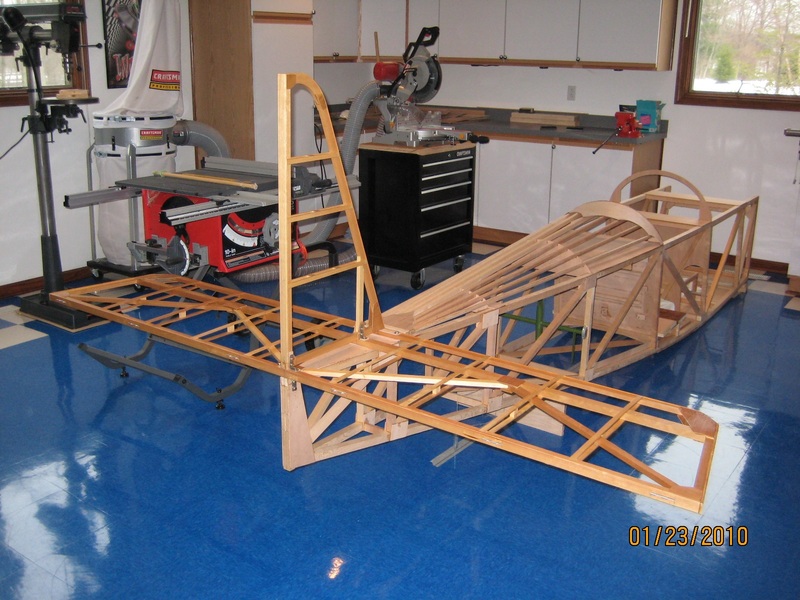 Jake is building a Rotec R2800 radial engine powered, steel-tube fuselage Air Camper up in Washington state. 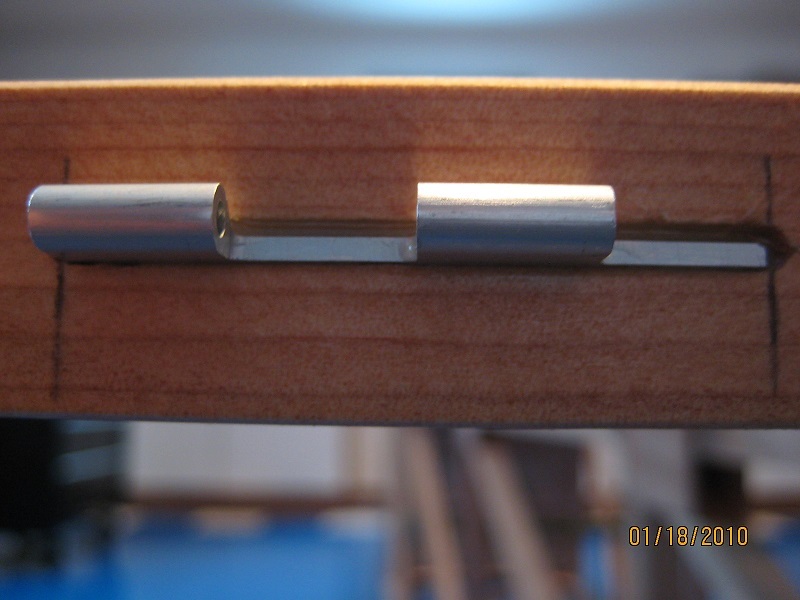 Hi Pietflyer - I got an email reply from another enthusiast and he suggested that if the horizontal stab were to flex, the piano hinge could bind and cause control problems. This was enough of a possibility, which I had not thought of, for me to stick with the individual hinges. He also suggested that there was little noticeable benefit to having the elevator gap sealed. Back to making my titanium hinges! Thanks for your input. cockpit flying), I don't think there is enough flexure to cause any concern. Pietenpol Air Camper NX899JP "Icarus Plummet"